In the past 18 months Silhouettes for VETS has become a driving force in working with Veterans as they search for a job. Our Programs that educates, coaches and prepares Veterans for the workforce has resulted in an 80% success rate – 80% of the Veterans we have coached have gained an understanding of the hiring cycle and been offered employment. Not just a job but also a career as each of the Veterans who have completed our 10-Component Program is working in a position that is at or above a living wage. And that is just the start for we are developing the outline for a one-hour radio call-in talk show that will feature Silhouettes for VETS, REBOOT and Makeovers that Matter. We all agree that it is time that we create a positive media image for Veterans who transitioning and are getting “job ready” – preparing each Veteran in every way for the workforce. Move to follow on our progress. As I mentioned in a previous Blog, the synergy created by the partnership of REBOOT, Silhouettes for VETS and Makeovers that Matter is the entire package for Veterans who are transitioning from the military. This collaboration covers every aspect of transitioning Veterans so once the Programs are completed each Veteran will be “job ready”! Melissa Metz, Director of Human Resources for Exelis Inc.
A Board meeting with all our Directors will be held on Friday June 19, 2015 at Bob Hope Patriotic Hall at 9 am. Silhouettes for VETS has been asked by The Chamber of Commerce – Hire our Hero’s Program to present our 10 Component Program to three military installations throughout the United States. We are excited for this opportunity to work with more Veterans as they transition to civilian life. Stay tuned as we are producing a series of Videos that will run our Website and Facebook pages. These Videos will include testimonials from a few of our Veterans along with an introduction to our programs. We have come a long way in a very short period of time – and this is just the beginning. Once fully funded, Silhouettes for VETS will be expanding throughout California so we can have a greater impact on decreasing Veteran unemployment…One Veteran at a time. It has been over 4 decades since I returned from Vietnam. Over 40 Veteran Day’s have past and now I find myself honored by each and every Veteran who has served our Country. The work of Silhouettes for VETS over the past year has been the most rewarding experience of my life. 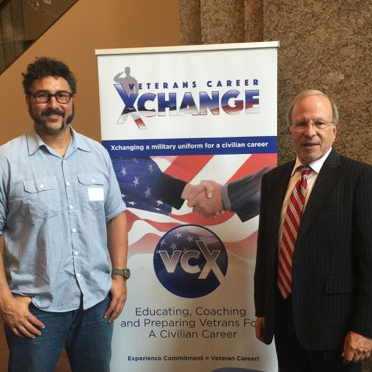 Though our unique Coaching Program we have helped over 75 Veterans find gainful employment. As we continue our efforts in educating and coaching veterans and their families in gaining an understanding of how to…”GET A JOB” Silhouettes for VETS will have a dramatic impact in decreasing veteran unemployment throughout the United States. Silhouettes for VETS is honored to have created partnership with all the organizations that support our Veterans. My thank you to the LA Mayors Office, The Salvation Army, EDD, US Vets and Volunteers of America as your support and efforts has made a difference. I would also like to thank the companies who have created Veterans hiring initiatives as your organizations hold the keys to offering veterans a career. For those who individuals support our veterans like Edward James Olmos (pictured), Gary Sinise, James Caan and many others thank you for your continued support. So to all Veterans from every era – THANK YOU FOR YOUR SERVICE! Silhouettes for VETS has been approved! Silhouettes for VETS has been approved by the IRS as a Tax Exempt Nonprofit 501 (c) (3) Corporation. The approval allows Silhouettes for VETS to solicit and accept your donations in order that we can better service the Veteran community both in Los Angeles and throughout the United States. Over the course of the past year Silhouettes for VETS has experienced growth and most importantly success beyond our expectations. The results are astounding, as our work with over 60 Veterans has resulted in a 75% success rate as Veterans are finding gainful employment. 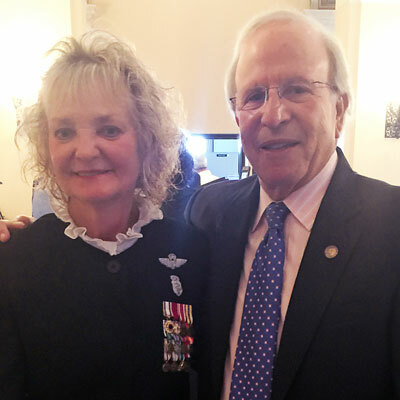 With the recent addition of Kelly Logan as Silhouettes for VETS Vice President of Operations and Ann Henzgen, Volunteer Coach we can now service more Veterans throughout the Los Angeles metropolitan region. Please help us by making a donation by clicking the link below. Encino, CA 91316 Thank you for your support! 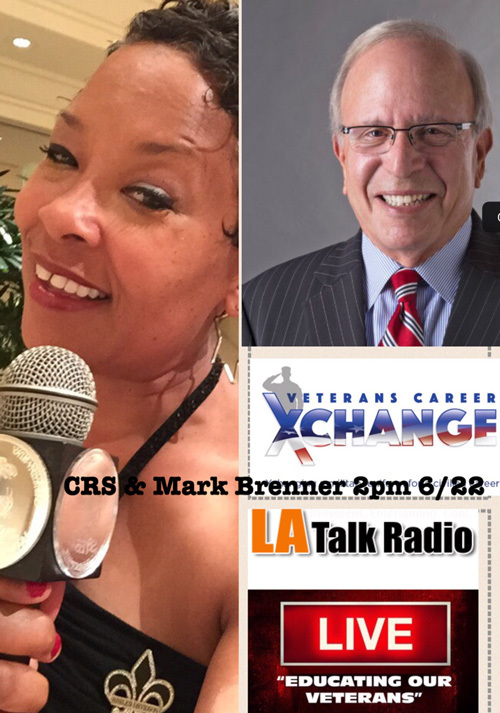 Mark Brenner, president and CEO of Silhouettes for VETS Inc., discusses the importance of eradicating misconceptions about PTSD with Kelly Logan, director, Veterans Advocacy Network, Santa Clarita, Calif. Brenner’s West Hills, Calif., organization offers a free program that empowers veterans from transition until they settle into the civilian workplace. On August 21, 2014 Charter College held a Veterans Day Event at Robinson Ranch Golf Course, Santa Clarity, CA. The purpose of the event was to bring together Companies with Veteran hiring initiatives, Veteran Services companies and of course our Veterans. Over 50 companies and non-profit service organizations attended this very successful event. Silhouettes for VETS was honored to be asked to give a presentation to Veterans who are searching for gainful employment. Along with Kelly Logan, Business Development Manager for Volunteers of America , we presented an overview of all steps required in preparing for the workforce. There were 100’s of Veterans present at the event who are looking for their first position or a new job. Although there was no golf that day the day was an unparalleled success. The feedback I received from the Veterans was complimentary and shows the necessity of all of us working to make sure that our Veterans not only transition from Military to Civilian life but that they have the guidance of companies to ensure that they find gainful employment (Companies like Silhouettes for VETS). There many events that take place almost weekly throughout the Greater Los Angeles area that support Veterans as they search for a position. Silhouettes for VETS has been a part of many of these Career events knowing that we are make a difference – having Veterans find a career…one Veterans at a time.